The environment is a principal source of microbiological contamination within a food processing facility. At the same time, in livestock farming, the environment can indicate whether a farm safety program is functioning as it should. Environmental testing has therefore become a crucial part of any food and feed safety program. 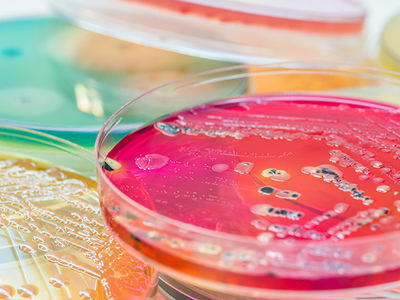 Romer Labs offers a broad range of easy-to-use, sterile specimen collection and surface sampling kits for quality control and identification of hazards at critical control points. Dry and pre-moistened sterile cellulose sponges are convenient, ready-to-use products. They eliminate the costly and time-consuming steps of diluent preparation, sterilization and application to the sampling devices. They are designed to make sampling microbes from surfaces in food processing facilities and industrial settings more convenient. Sterility is guaranteed by exposing sampling products to irradiation. The use of different pre-moistening solutions enables a broad range of environmental and product (carcass) sampling applications. 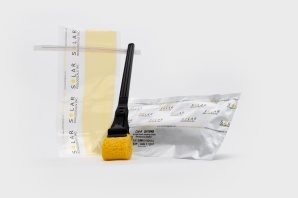 The Romer Labs Sponge-Stick is a 3″ x 1.5″ (7.5 cm x 3.5 cm) compressed cellulose sponge attached to a quick-release handle, pre-moistened with 10 ml buffer of choice and individually packaged in a vapor-barrier foil pouch or already in a sampling bag. The quick-release handle provides an extra level of convenience and reliability. It is designed to release the sponge into the sample bag after sample collection, allowing only the sponge to be returned to the laboratory. Unnecessary parts that could interfere with sample processing are therefore eliminated. 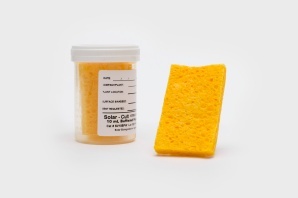 The Romer Labs Sponge is a 3″ x 1.5″ (7.5 cm x 3.5 cm) cellulose sponge pre-moistened with 10 ml buffer of choice and individually packaged in a vapor-barrier foil pouch. 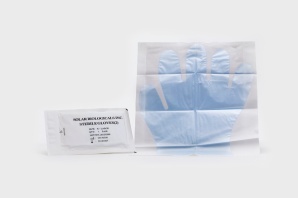 The kit (BS02) includes a 5.5”x 9” sterile twirl-tie lab sample bag with write-on label area and a pair of sterile plastic gloves packaged in an easy peel-open pouch. The Sponge in Vial is a 3″ x 1.5″ (7.5cm x 3.5cm) compressed cellulose sponge, pre-moistened with 10 ml buffer of choice and individually packaged in a 120-ml plastic screw-cap vial. 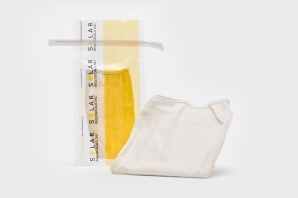 It has a label attached for sample identification and 12 months shelf-life from production. Salmonella and Campylobacter contamination of poultry and other livestock products is a worldwide concern. 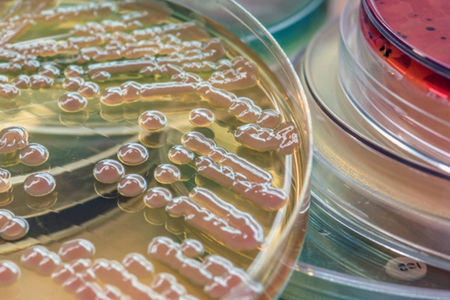 To reduce instances of contamination at farms, methods for monitoring Salmonella and Campylobacter contamination in livestock shelters, beginning with drag swab sampling, have been developed by the USDA-FSIS (Food Safety Inspection Service). Alternative boot swabs are also used as stated in various EU regulations (e.g. Regulation of the Commission No. 2160/2003, 213/2009, 200/2010, 517/2011, 200/2012 and 1190/2012) to meet this objective. Drag swab kits are sterile sampling devices used to sample poultry litter for pathogenic organisms such as Salmonella. The Romer Labs Sterile Boot Cover Swabs are 15 cm x 15 cm cotton-polyester blend fabrics sewn in a sock shape with an integrated elastic band sewn into the top in order to aid in securing it to the boot. 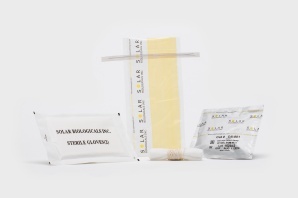 The boot cover swab is pre-moistened with either skim milk or buffered peptone water and packaged in a twirl – tie lab bag. The complete product is gamma radiated to ensure sterility. They swab may be used in conjunction with a plastic boot cover if dedicated boots are not used. 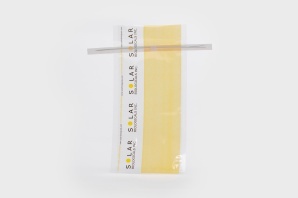 DS001HL - Single sterile 12-ply 4″ x 4″ cotton gauze swabs, pre-moistened with double-strength skim milk, and enclosed in a tear-open vapor barrier foil pouch. 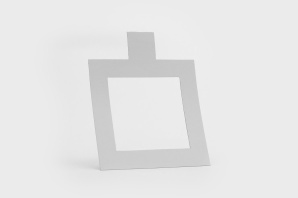 DS001HL3 - Three sterile 12-ply 4″ x 4″ cotton gauze swabs, pre-moistened with double-strength skim milk, enclosed in a tear open, vapor barrier foil pouch. DS002 - As an alternative to cotton gauze a cellulose sponge may be employed. Specimens are collected in the same manner using the cotton swab. 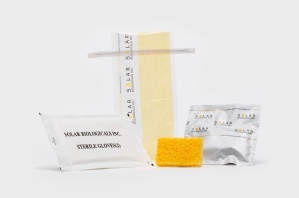 These sponges are pre-moistened with double-strength skim milk and packaged in a tear-open, vapor barrier foil pouch. They are also attached to a string of approximately 6 ft.
DS004 - Single sterile 12-ply 4″ x 4″ cotton gauze swabs (pre-moistened with double strength skim milk) attached to a string approximately six ft. in length and packaged in a shatterproof 120 ml screw cap vial. After sampling, the gauze swab is returned to its plastic vial, labeled, and transported to the laboratory for analysis. Product availability may vary by country, please contact us for more information. Think It's Time to Verify Your Hygiene Program? When’s the last time you verified your hygiene program?